Variable geometry in race tracks - a solution to track limits? 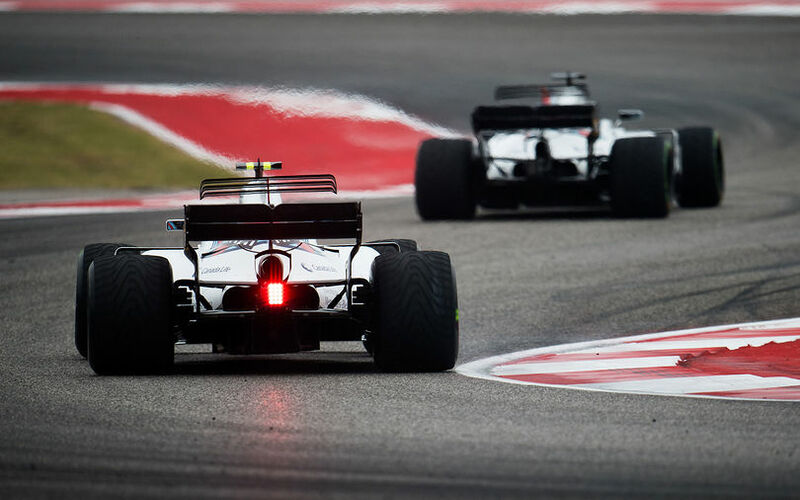 For years, Formula One has been struggling to enforce track limits and find various ways to enable more overtaking on track. But while the FIA has been looking at detection systems and other artificial bits, a different track layout may well provide a solution. The problems with track limits are an ever increasing problem since more and more circuits have replaced their gravel run-offs with tarmac. Similarly, astroturf is also disappearing at several circuits due to a push from MotoGP, as these two run-off surfaces are considered less safe for motorbike racing. An interesting proposal has now come from Lucas Di Grassi, an all-round racer who is the reigning Formula E champion and boasts a wealth of experience in endurance racing, stock car racing and single seaters. The Brazilian revealed a proposal on twitter that could create an interesting new challenge for drivers, as it would allow more different, and possibly equally effective racing lines compared to what is possible on traditional, constant width tracks. In the image, the numbers are the radius in meters. Fig 1 we have, for a given 2g of lateral acceleration, 83km/h min speed (blue), 75km/h (green) and 64km/h (red) | but blue has the worse braking capacity - and so on. 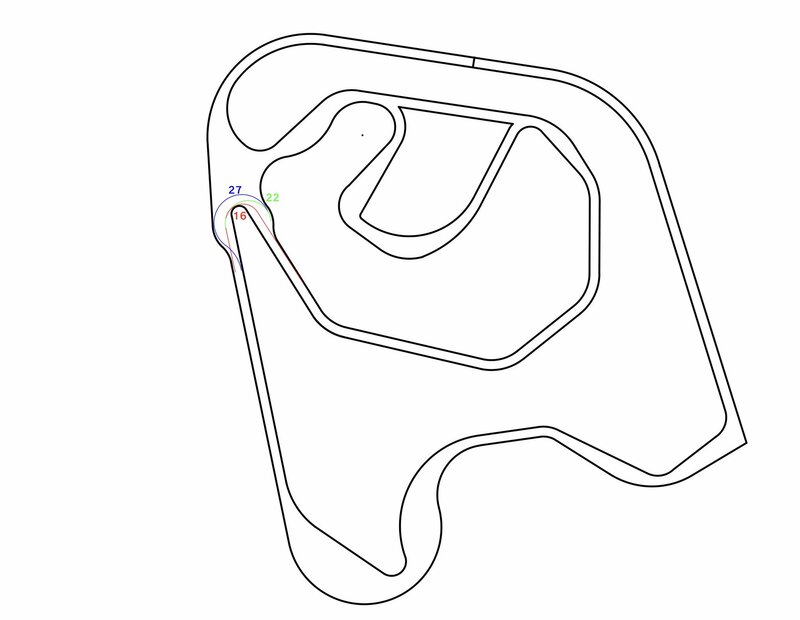 Focusing here on a typical hairpin, it seems like a viable solution to increase the width of the track in parts of the corner, or the entire corner altogether, to allow racing drivers more options on how they tackle a particular corner. In the end, "these actually will make the optimal line depend in a lot of factors." On his own sketch, Di Grassi notes: "You could calculate angle 'A' and 'B' in such way that any of the 3 lines chosen by a driver - blue black or red - could produce similar lap times. By doing so, drivers don't need to follow the cars in front therefore not lose downforce". Di Grassi's proposal is still a theoretical exercise, and one that has not been simulated. It would be extremely interesting to be able to measure its effects, while also taking into account other things like track drainage and security in case of accidents. However, from these few examples, it is clear that there is some potential in extending the track design philosophies to improve overtaking. Adding camber could even enable circuit designers to create corners where the ideal line is away from the edges of the track, naturally removing the need to check if drivers stay within the limits of the track.